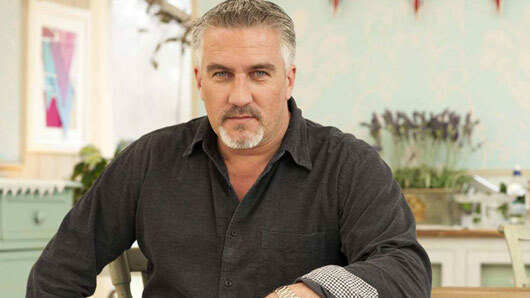 Paul Hollywood has admitted that he chose to follow the Great British Bake Off when it transferred from the BBC to Channel 4 because he feared he may lose his job. The silver-haired baker was the only host not to jump ship when the BBC lost the rights to the popular baking show earlier this year. Co-stars Mary Berry, Mel Giedroyc and Sue Perkins all opted to remain with the original broadcaster, which brought Paul’s own loyalty under question and put him in the firing line of criticism from the press and public alike. However, the 50-year-old baker has now spoken out about his decision to follow the job. In the Christmas episode of The Jonathan Ross Show, Paul revealed that job security motivated his decision to leave the BBC. He said: “It came down to, my job was still there and I didn’t want to lose my job. “I love doing what I do. The Bake Off judge stood by his decision, arguing that the career move was not “a bad thing” to do. However, Paul has not taken for granted his time on the show with the BBC and revealed that he was saddened by the whole ordeal. He said: “I was very lucky seven years ago to be plucked from obscurity to be part of what Bake Off is now. We need not mourn the loss of our Bake Off dream team just yet, however. The fabulous four will be reuniting for one last time this month for a very special Christmas episode of the Great British Bake Off, in which former contestants will make a comeback to compete in three festive challenges. Great Christmas Bake Off will air Christmas Day at 4:45pm on BBC One.